Dasya, Side Liner, Vasilis Giotis, Simon Cini, DJ Danilkin and more. Hey Mixcloud this is my set for the comp.....30 mins is not much time to express yourself in a set.... but picked out some great tracks around 100 bpm. I love chillout downtempo and balearic music and have a nice collection of tracks to make that Ibiza sunset sooth your soul. 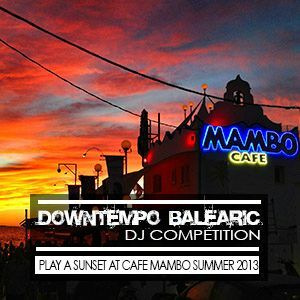 awesome mix..a perfect selection of tracks for the vibe @ cafe Mambo..